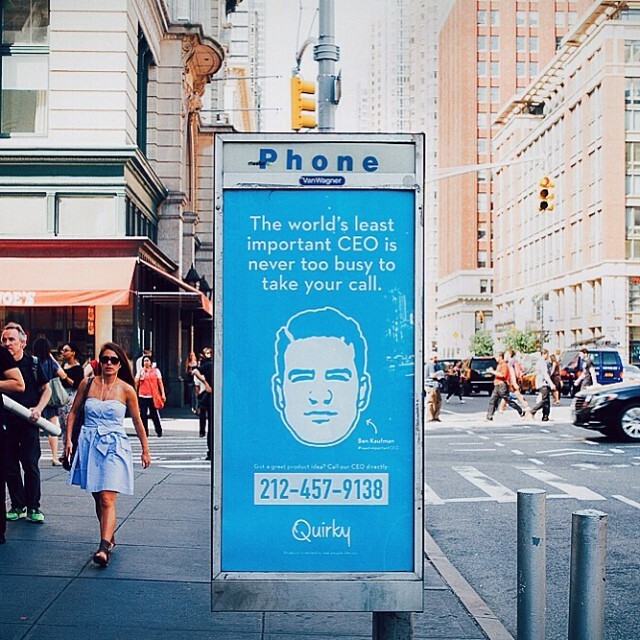 Quirky is an invention company that turns real peoples invention ideas into actual products. 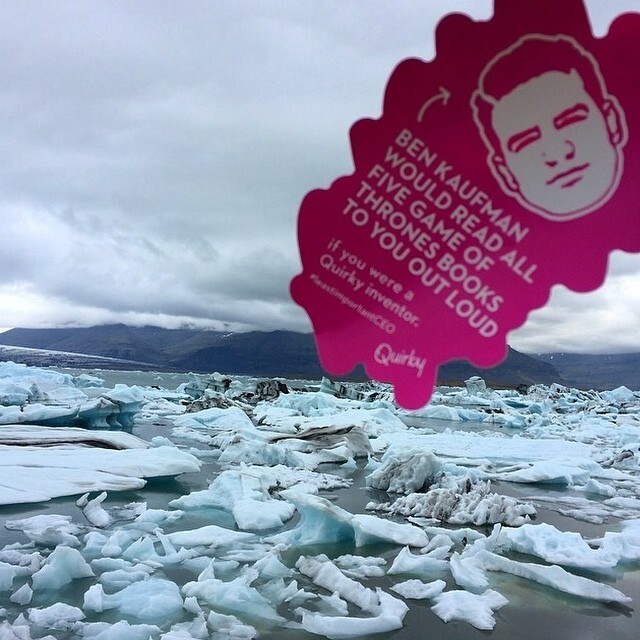 We launched Quirky's first commercial campaign featuring CEO Ben Kaufman and real inventors like Garthen Leslie who invented the smart air conditioner, Aros. 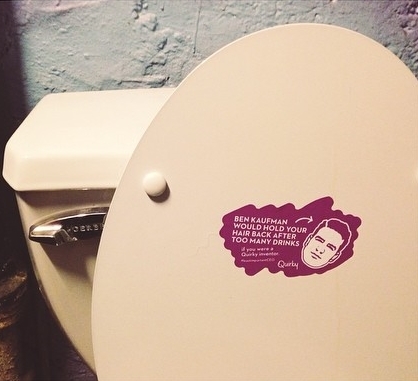 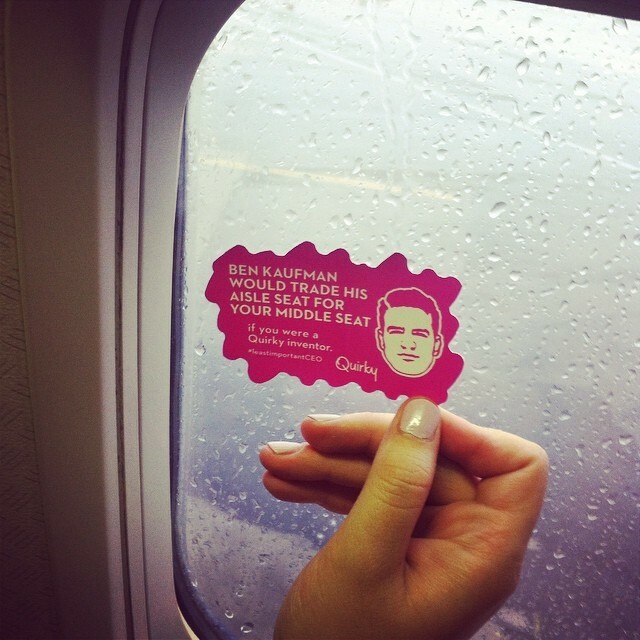 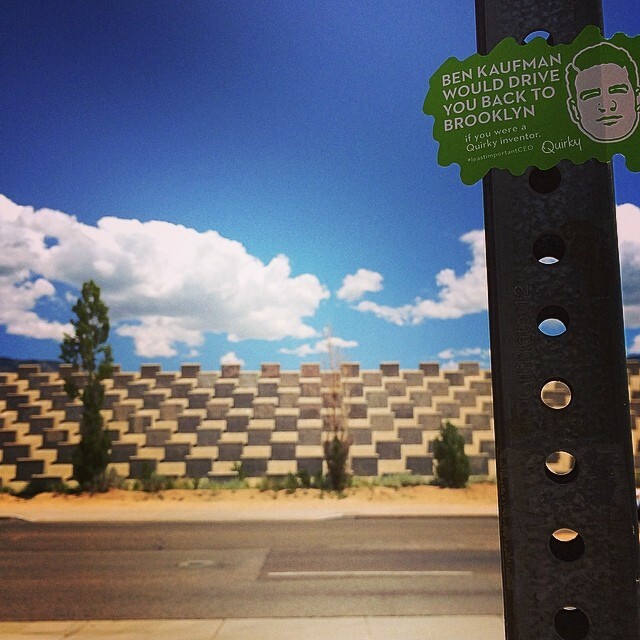 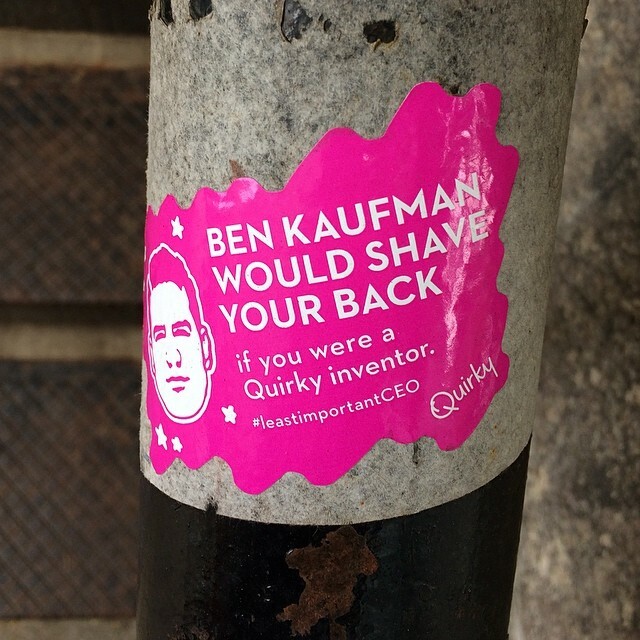 To emphasize how unimportant Ben is we plastered the city with his actual phone number and made stickers about the ridiculous things he'd do for Quirky's inventors. 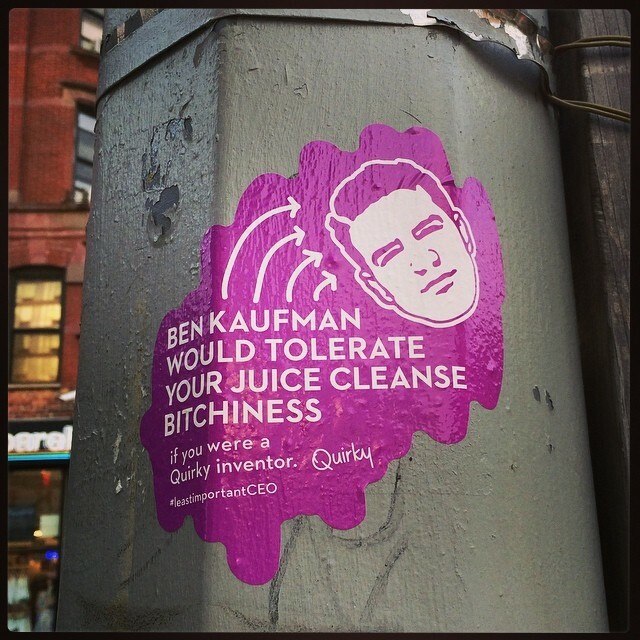 He's also probably the first CEO ever to go on live TV and give the anchors foot rubs.